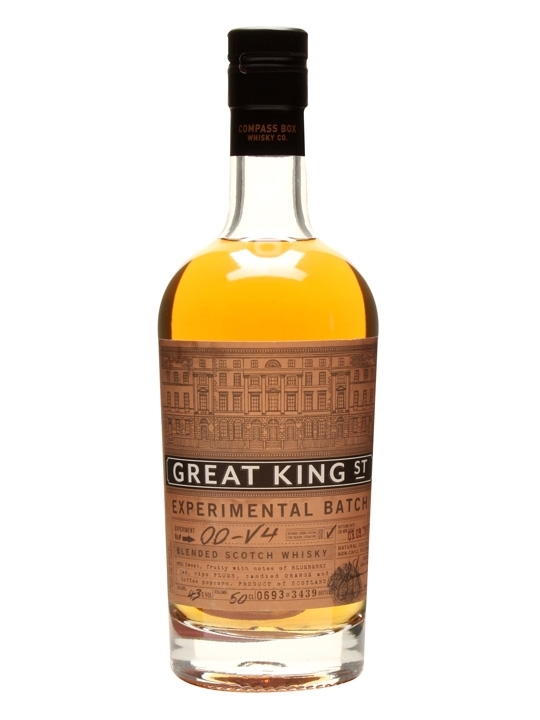 Went for this at auction recently and was delighted to get it, anything from Compass Box is a treat and their Great King Street range has been great exploring quality blends. This blend has been made from 28% Lowland Grain and 72% Malt, 72% in a blend is superb and really works well, it’s bottled at 43%. This bottle is part of a limited edition of under four thousand bottles as part of their quest to find the permanent Great King Street range and is worth picking up if you find it. Nose. Sweet, candied fruit, Lemonade, plum crumble, toffee. Palate.More sweetness, baked apples, candyfloss, buttery pastry, hard toffee, milk chocolate. Finish, pretty quick, a little heat, more apples and candy floss, a touch of grass. An easy drinker much like the Artist’s Blend, a sweet and charming whisky you can drink alone or as part of a cocktail. Previous Girvan No 4 Single Grain Whisky 42% Twitter Tasting.